There is a lot Paranormal Activity grand maestro Oren Peli won’t talk about. He won’t talk about his long delayed Area 51. He won’t talk about any hypothetical projects or anyone he wants to work with in the future. He won’t give any specifics on his new TV series, The River. And he professes that he has no idea what Paranormal Activity 4 will look like. With this in mind, it is no great shock to announce that a recent afternoon tea with Peli, as well as Christopher Nicholas Smith, Chloe Csengery and Jessica Tyler Brown (all of Paranormal Activity 3) and Micah Sloat and Katie Featherston (stars of the original film) revealed no great secrets about the franchise’s future. Rather, much like the films themselves, it was an afternoon of looking back and filling in the holes and unanswered questions about what came before. The players told us about the difficulty of faking amateur camerawork, why Steven Spielberg turned off the original film halfway through, how the production allows for scene ideas from literally everyone, where the original concept for Paranormal Activity 2 came from and much, much more. Read on for the top 20 things to know about our afternoon tea with the cast and crew of Paranormal Activity. As I said in the intro, Peli – who fielded most of the questions during the 90-minute sit down – is a man of few words. But perhaps it is this tightlipped restraint that is at the center of his success. Unlike most Hollywood types who are all too happy to wax poetic about vapor movies, Peli falls silent at even the slightest whiff of a hypothetical. And yet he never comes off as calculating or obtuse. Much like the invisible demons in his films, he knows exactly the right moment at which to strike. If found footage has taught him anything, it is that timing is everything. 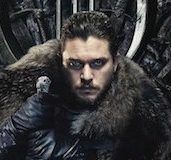 And while nearly every press junket features at least one anecdote about how, “The cast was like a family,” few ensembles can boast the sweet-natured paternal feeling of Smith’s interactions with his on-screen daughters. While Csengery and Brown are both eminently charming and poised, they are still just little girls and it is impossible to coach a child on how to deal with a 90-minute interview with two-dozen participants and no scripted questions. Though there were only a few queries aimed directly at Smith, he still made a point to stop talking about himself in order to give the girls a chance to speak and to make them feel included. In fact every one of the participants seemed very excited to be there. 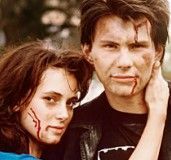 Featherston and Sloat still carry the wide-eyed demeanor of actors who can’t believe they’re suddenly famous, likely a residual effect of the long gestation between shooting and releasing the original film. Even if you don’t like found footage horror, it is difficult to not warm to this motley crew and their Horatio Alger-style success story. There is no chain of command on a Paranormal set, everyone is allowed to pitch ideas. Like in most films, some scenes come courtesy of the directors and credited writer, while others come from the cinematographer or producers. But unlike most film sets, grips, dolly operators and production assistants are also encouraged to throw out concepts. 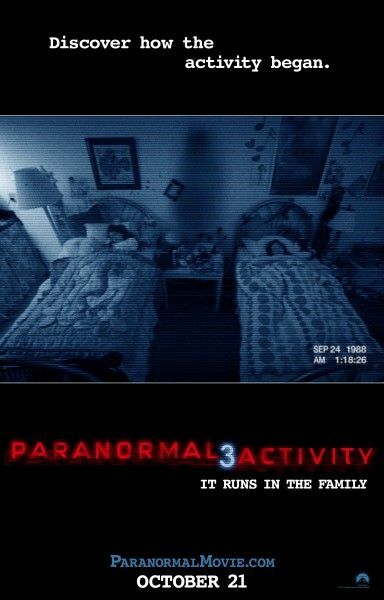 Peli was absent for most of the development of Paranormal Activity 2, but was on set almost every day of the shoot. 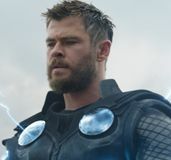 Conversely, he was involved with everything from concept to casting for Paranormal Activity 3, but was busy with other projects during the shoot. Peli turned down several Straight-to-DVD offers for the original film. It was three years between production and the release of the first film. On Paranormal Activity 4: “We have some ideas,” said Peli. The original idea for focusing on Katie’s sister in Paranormal Activity 2 came from Saw VI director, Kevin Greutert, who was briefly attached to direct the film before being pulled back to helm Saw 3D. 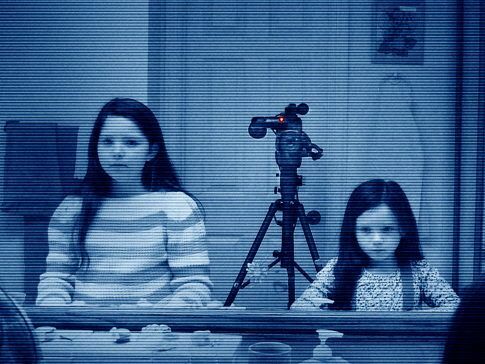 Part of the original inspiration for Paranormal Activity came from Peli’s fascination with reality television. However, he will not say if he has any plans to produce a reality TV series presently. Both girls watched The Last Unicorn as research for their roles in the film. Sloat and Featherston hid out across from the premiere screening of the original Paranormal Activity because they wanted to see the lines but were both still pretending to be dead.